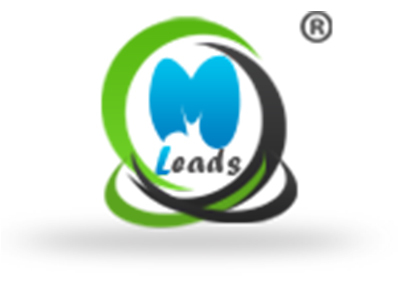 MLeads is a cloud technology (SaaS) based one-stop innovative mobile platform for leads and events management automation. Turning leads into sales is complicated and events are difficult to organize. MLeads is built to solve these problems by offering intuitive design and a process that is easy to understand and follow for sales and marketing professionals and event organizers. MLeads as event management platform has something to help you at each stage of your event from marketing your events and hosting online registration, to easing the check-in process, engaging your attendees onsite, and ultimately providing you with post-event analytics to measure your inevitable success. Darktrace was founded in Cambridge, UK, in 2013 by mathematicians and machine learning specialists from the University of Cambridge, together with world-leading intelligence experts from MI5 and GCHQ, to bring transformative technology to the challenge of cyber security. With this unique combination of expertise in mathematics, software, and intelligence, Darktrace has delivered the world’s first operational Enterprise Immune System. Our leading-edge solution gives organizations the ability to detect emerging cyber-threats, allowing them the opportunity to proactively defend against in-progress cyber-attacks. Acunetix has released: a heuristic tool designed to replicate a hacker’s methodology to find dangerous vulnerabilities like SQL Injection and Cross-site Scripting before hackers do. Over a decade later and Acunetix has become the tool of choice for many customers in the Government, Military, Educational, Telecommunications, Banking, Finance, and E-Commerce sectors, including many Fortune 500 companies. NowSecure Platform delivers fully automated 360° coverage of mobile app security testing with the speed, accuracy, and efficiency that the modern enterprise demands. NowSecure identifies the broadest array of security threats, compliance gaps, and privacy issues in custom-developed, commercial, and business-critical mobile apps through superior testing and analysis across multiple deployment models.